The article was originally published at The New Eastern Europe. By UDI Associate Maria Shagina. According to the Maplecroft’s report, a global risk consultancy, in 2011 Moldova was ranked as the ninth riskiest country in the world in terms of short-term energy security. Indeed, Moldova imports 98 per cent of its energy, mainly from Russia and Ukraine. The key factor in the country’s energy instability is an unsecured, politicised route via Transnistria, a breakaway region sustained by Russia. 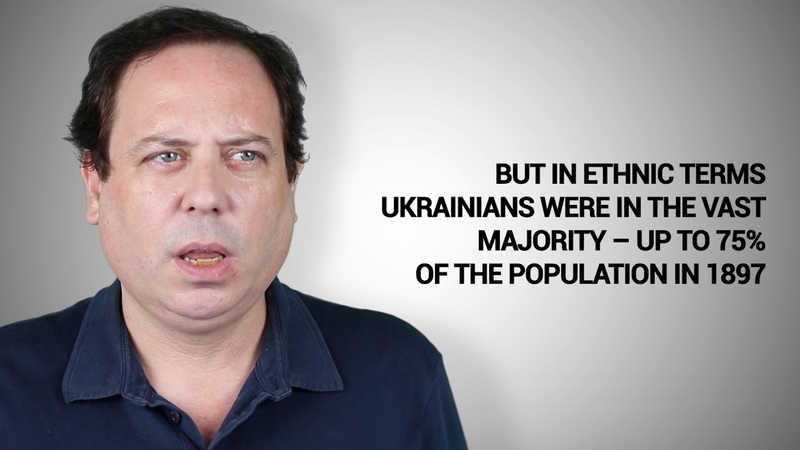 The separatist enclave is the only route for Chisinau to obtain gas and electricity. The lack of interconnectors with its European neighbours makes Moldova extremely dependent on amicable relations with Moscow and Tiraspol. The underdeveloped gas infrastructure only exacerbates Moldova´s energy security as there is no direct pipeline connecting Chisinau with Romania and no gas storage facilities that could alleviate sudden shortages of gas supplies. In addition, Moldova’s energy mix is poorly structured and distorted towards natural gas. It constitutes 63 per cent of Moldova’s energy which puts the country at the mercy of Gazprom, the Russian state-owned monopolist. Despite a series of disruptions to energy supply in the Black Sea region over the last years, Moldova failed to diversify its energy sources. Russia’s Gazprom supplies 99 per cent of gas demand and indirectly controls the Moldovan natural gas market in terms of supply, transmission and distribution. Gazprom owns 50 per cent in Moldovagaz, Moldovan-Russian joint stock company, and another 13 per cent in shares in Transnistria. In turn, Moldovagaz owns Moldovatransgaz, a transmission system operator, and controls 70 per cent of distribution networks. Currently, the gas contract between Moldovagaz and Gazprom runs until December 31st 2019. The Moldovan electricity market is in 80 per cent dependent on the Cuciurgan power station, a Soviet-era facility located in Transnistria, which operates on Russian gas. 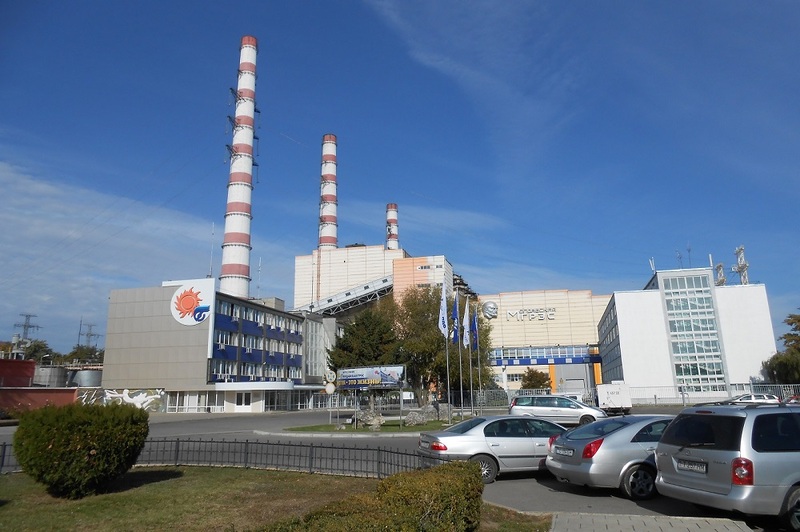 The Cuciurgan power station, which belongs to the Russian group Inter RAO, uses an offshore intermediary company Energokapital, which converts gas into electricity and re-sells it to Moldova via Energocom, a state-run company. This system of energy intermediary companies makes the electricity market especially non-transparent. In 2015, Energokapital bought gas for 129 million US dollars from a local Transnistria gas company but sold electricity for 222 million US dollars to Chisinau. To diminish its high dependency on Russia’s energy supplies, Moldova slowly started diversifying its routes and supplies. In December 2016, the European Union, the European Bank for Reconstruction and Development and the European Investment Bank agreed to provide 92 million euros in funding to link Moldova and Romania via the pipeline. The existing Iasi-Ungheni pipleline, which was built in 2014, connects Moldova with Romania only on the border, providing a marginal one per cent of gas supplies. The extension of the pipeline to Chisinau provides a credible alternative to Gazprom, reduces a potential threat of geopolitical meddling and integrates the country into the EU’s energy market. In February 2018, Romanian Transgaz won a bid for the privatisation of Vestmoldtransgaz, an independent transmission operator which manages the Ungheni-Chisinau pipeline. The Romanian company announced the investment of 93 million US dollars in the pipeline with the aim to finish construction within the next two years. In March 2017, Frontera Resources, a US-based oil and gas exploration company, signed a 50-year agreement with the Moldovan government for the exploration, production and development of hydrocarbon resources in the Dobrogea Basin. The company plans to invest over 6 million US dollars over the next five years. Apart from the notion of investment, the cooperation will contribute towards Moldova’s energy security and energy independence. On the electricity market, Moldova also tried to diversify its supplies. In April 2017, Moldovan state-owned intermediary Energocom signed a one-year contract with Ukrainian DTEK Trading, owned by Rinat Akhmetov, to deliver electricity to Moldovan distributors. The Ukrainian company won in an international tender, by offering a lower price of 50.20 US dollars per megawatt/hour (MWh) than that of Cuciurgan – 54.40 US dollars MWh. By signing the contract with DTEK, Moldova tried to avoid reliance on its sole electricity provider – the Cuciurgan power station. However, in June, DTEK reviewed its volumes and reduced the export of electricity from 270 million MWh to 90 million MWh. It forced Moldova to renew its deliveries from Cuciurgan again. The contract with DTEK expires by the end of March this year. Despite diversification efforts, Moldova’s energy security is still fragile in the short term. The new projects will be effective in the long-term perspective only, while Gazprom’s plan to launch Nord Stream 2 and TurkStream will significantly undermine Moldova’s national security as both pipelines will bypass the country. As the Iasi-Ungheni pipeline and its extension are political projects rather than economic ones, political stability in Bucharest, Kyiv, and Chisinau is a necessary factor for Moldova to achieve its energy security. Being dependent on political developments in neighbouring countries makes the genuine transformation of Moldova’s energy market especially complicated. As the current gas war which erupted between Gazprom and Naftogaz shows, Moldova might become a hostage of Russian-Ukrainian energy disputes, if Gazprom cuts off gas supplies to Ukraine. In this situation, there are several scenarios in which Moldova’s energy security could be further endangered. Firstly, Russia can abuse its dominance on the energy market and use energy as a leverage against the political elite in Chisinau. Gazprom can require the repayment of 6.5 billion US dollars in debt, as it has frequently done in the past to blackmail the Moldovan elite. Neither Moldovagaz nor the Cuciurgan power plant are paying for Russian gas. Although only 1.3 billion cubic meters (bcm) out of 3 bcm of supplied gas is consumed in Chisinau, Gazprom claims that it is Chisinau that is responsible for the unpaid debt. It enormously increases the national security risks for Moldova as the debt amounts to 80-90 per cent of the country´s GDP. In February 2017, Gazprom filed a case in Russia´s International Commercial Arbitration Court against Moldovagaz to repay 768.6 million US dollars in debt for its gas deliveries in 2014. In 2012 and 2013 Gazprom filed similar cases. If the debt restructuring plan is not accepted by the Russian side, Gazprom could execute the payment at any time, which could result in the Russian monopoly gaining control over the crucial infrastructure in Moldova. Secondly, Moldova is currently in the process of implementing the EU’s Third Energy Package, which includes unbundling, non-discriminatory third-party access and genuine competition. In addition, the country is in the process of harmonising its electricity market with the European one in order to join the European Network of Transmission System Operators for Electricity (ENTSO-E). The liberalisation of Moldovan gas and electricity markets will jeopardise Gazprom’s dominant position, as it would end Gazprom’s de facto monopoly over supply, transport and distribution. In the past, Gazprom already threatened not to renew the gas contract if Chisinau fully implements the Third Energy Package. Following the unbundling of Moldovagaz, Gazprom would lose its control in transmission and distribution which could trigger disruption of gas supplies. Finally, the upcoming election in 2018 will probably delay the full implementation of the Third Energy Package. The full adaptation of the EU requirements would require the increase in price on electricity and heat by 73-113 per cent and 78 per cent by 2020, respectively. This will be politically and socio-economically costly for any political party in the wake of an election campaign. The current dominance of populist political forces in Moldova makes the price hikes rather unlikely. On the other hand, the full liberalisation of Moldova’s energy market could be hampered by its vested interests, which will try to protect a lucrative system of energy intermediary companies. The abovementioned energy intermediary company Energokapital allegedly has connections to both Moldovan and Transnistrian elite. The intermediary keeps its bank accounts at Victoriabank, controlled by Vlad Plahotniuc, while the company’s rise is connected with Yevgeny Shevchuk, the former Transnistrian president. Maria Shagina holds a PhD degree in Political Science from the University of Lucerne and University of Zurich. Previously, she was a visiting research fellow at the Centre for Russian, European, and Eurasian Studies at the University of Birmingham. Her new book Joining A Prestigious Club explores the impact of the cooperation between Europarties and domestic parties on party development in the Eastern Partnership countries. The book reveals the ways in which cooperation with Europarties has paradoxically contributed to the ossification of the status quo and impaired the development as well as the consolidation of democracy in Georgia, Moldova and Ukraine.